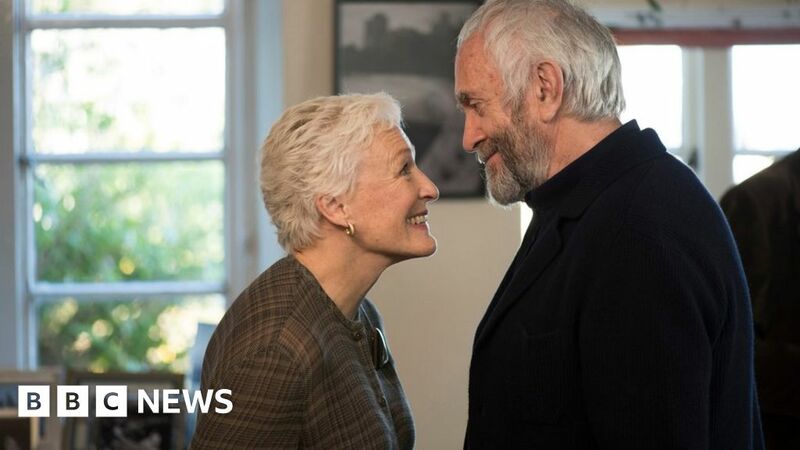 A film shot in Scotland and just released in the UK is generating “Oscar buzz” for Glenn Close’s performance, according to its producer. The Wife – also starring Jonathan Pryce and Christian Slater – was filmed in Glasgow and near Kirkbean in Dumfries and Galloway. They stood in for Stockholm and New England respectively. Producer Piers Tempest told the BBC Scotland he believed they had provided the ideal backdrop. “It was absolutely stunning and filmically it absolutely mirrored the east coast of America coastline which is what we were trying to achieve,” he said of the Arbigland Estate near Dumfries. “I would defy any viewers to question the location. Mr Tempest said that the cast had also enjoyed their time in the south and west of Scotland. “Glenn Close absolutely loved shooting in Scotland it was a very positive film experience for everyone,” he said. “There was a really great welcome for anyone. Critical response to the film has been good and the producer said he hoped it could deliver a long-awaited Academy award for one of its stars. “Box office is very strong in America and it has got a lot of Oscar buzz, quite rightly, for Glenn Close for her performance,” he said. He said that if it did prove successful then the locations could justifiably feel they had played a part. “Any film is an amalgamation of so many different factors I think having such a great experience filming in Scotland gave her the space to deliver such an incredible performance,” he said. “It has got the diversity and breadth of locations. “There was a very warm welcome and it’s a very friendly place to film in.